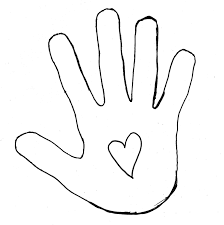 Home→Events→We need YOU and your HANDS! Two things this weekend on Sunday 19th June, after 10.30am Mass, we will have the opportunity to join together to celebrate our Parish Feast Day. You are invited to bring along a picnic (and a rug to sit on). If anyone has any giant games we could use (such as Jenga or Chess) we’d very much appreciate it. Everyone is welcome to come along and enjoy what it means to be part of a faith filled community. SOME COME ALONG AND JOIN US for a great day! You will notice a big ‘60’ on the organ loft for this special weekend marking our 60th Anniversary of the Church. The ‘60’ will be decorated with hand prints with the names of parishioners and families on them. Please BRING BACK YOUR HANDS, with the names of your family members on it!